Software WILL be tuned for Epyc, so a safe bet will not be getting Xeon but Epic, for sure. And power consumption and heat is really important as is an interesting part of datacenter maintenance costs. Other than that this is boring as ARM NUMA based server chips are coming with some backup from good old veterans when it comes to to supercomputing and this time around Intel won't have even a compiler advantage to drag about it. thx for sharing the article Johan, as usual those are the ones I will always read. Interesting to get feedback from Intel on benchmark compares, this tells how scared they really are from the competition. There is no way around, I' ve been to many OEM and large vendor events lately. One thing is for sure, the blue team was caught with there pants down and there is for sure interest from IT into this new competitor. Now talking a bit under the hood, having had both systems from beta stages. I am sure Intel will be more then happy to tell you if they were running the systems with jitter control. Off course they wont tell the world about this and its related performance issues. Third, the turbo boosting that is nowhere near the claimed values when running virtualization? Yes the benchmarking results are nice, but they don't give real world reality, its based on synthetic benches. 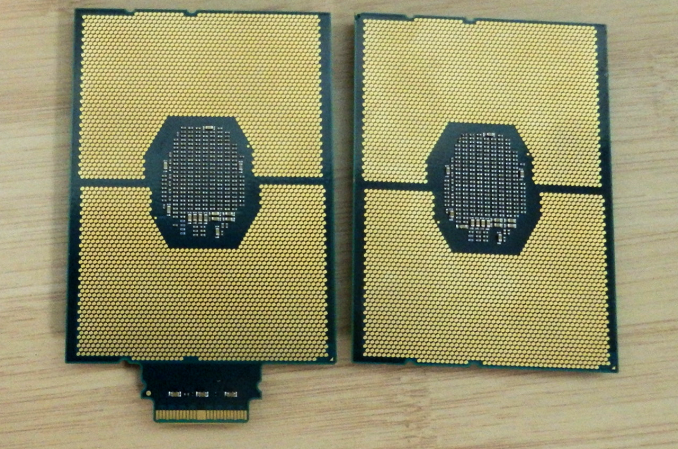 Real world gets way less turbo boost due to core hot spots and there co-related TDP. 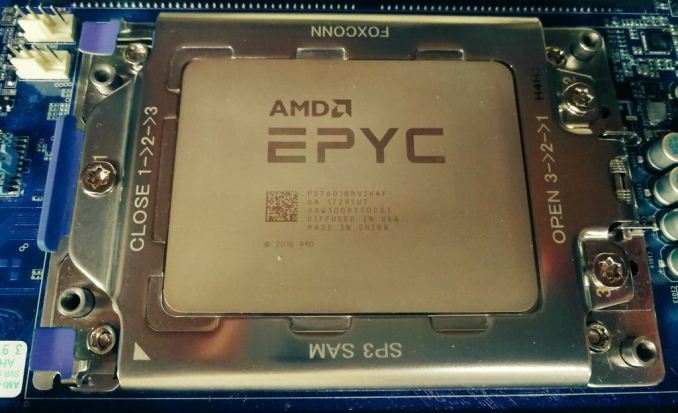 There are reasons why large OEM did not yet introduce EPYC solutions, they are still optimizing BIOS and microcode as they want to bring a solid performing platform. The early tests from Intel show why. Even the shared VMware bench can be debated with no shared version info as the 6.5u1 has got major updates to the hypervisor with optimizations for EPYC. Sure DB benches are an Intel advantage, there is no magic to it looking at the die configurations, there are trade offs. But this is ONLY when the DB are bigger then certain amount of dies so we are talking here about 16+ cores from the 32 cores/socket systems for example, anything lower will have actually more memory bandwidth then the Intel part. So how reliable are these benchmarks for a day to day production.... not all are running the huge sizes. And those who do should not just compare based on synthetical benches provided but do real life testing.